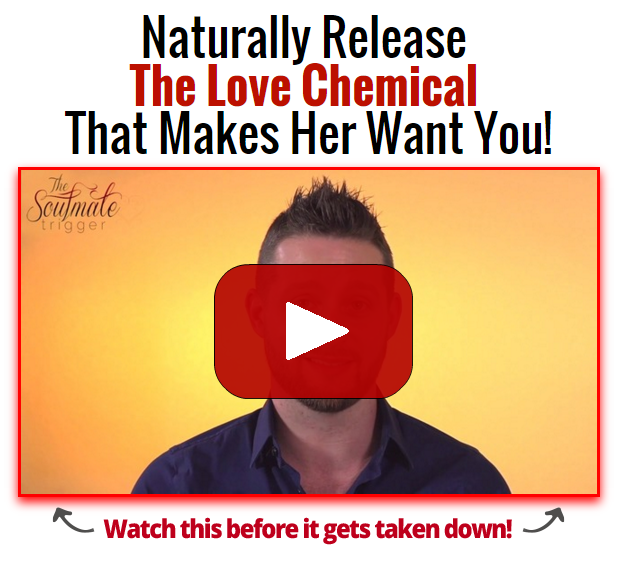 Dating coach Adam Lyons gives you the gift of love by revealing the one phrase that you can use to make her fall in love with you. One of the coolest parts is that the phrase is unique to each individual’s personality. Leave the concept of love being a magical uncontrollable emotion to the Disney marketing team. Love is not only controllable and identifiable, but it’s actually something that you can trigger. That’s why at the end of this article I have included a video that teaches my more secret methods for triggering the feeling of love in a woman to make her think of you as her “Soulmate”. Chemically, love comes from a chemical known as oxytocin. The more oxytocin present when you’re talking to a girl, the more she will love you. Oxytocin is so powerful, the female body is flooded with it when she gives birth to a child to insure she loves her child. You can trigger oxytocin with a very simple phrase that will make her see you as someone that she wants to be with forever. Oxytocin isn’t just known as the love chemical… it’s also known as the bonding chemical. Which means that if a girl believes that she has bonded with you then she will begin to feel more oxytocin. This technique works best with someone that is already attracted to you. (I.e. someone that is already flirting with you, someone you’ve already made out with, and in an ideal world someone that you’ve already been sexually intimate with) — point to know, all of those things create oxytocin. The key to getting someone to fall in love with you, is to get them to believe that the two of you have a future together. One of the easiest ways to do this is a technique known as future projection. Future projection is simple, basically you talk about something in the future that she really wants to do and offer that the two of you can do it together. An example of this would be to identify somewhere she’s always wanted to go (such as Disneyland) and make sure that the two of you set a plan and a date to go and do that in the future. With her realizing that you are actually thinking about the future together, she will feel more comfortable getting more serious with you. She will stop preventing oxytocin from flowing in her body as she believes that there is some kind of a future with you and will be happy trusting herself and those chemicals to flow. There’s also the chance that she won’t fall in love with you. Why? Because making a girl fall in love with you by using future projection works well with girls that are already attracted to you. It maximizes what you already have. But what if you don’t have a girl’s attraction yet…? How do you get that? That is a little more in depth than a short article like this can cover… That’s why I made this special video for you that teaches you my secret methods I use to get women very, very attracted to me.